Embattled opposition MDC party secretary general Douglas Mwonzora has made a U-turn in his backyard Manicaland province yesterday after realizing that challenging party incumbent Nelson Chamisa for the presidential post at the forth coming congress is now a Himalayan task. Mwonzora succumbed to pressure after failing to secure a nomination in Mutare yesterday and has vowed to fight for his post instead having only received a single nomination in Matebeleland South. “Takawirirana zvakare, kuti ini, ndichazama kuwana chigaro cha secretary general webato rino. VaChamisa ava varikupedzisa zvavakatanga vari pachigaro ichochi. Ini ndoda kupedzia zvandakatangawo pachigaro ichochi. 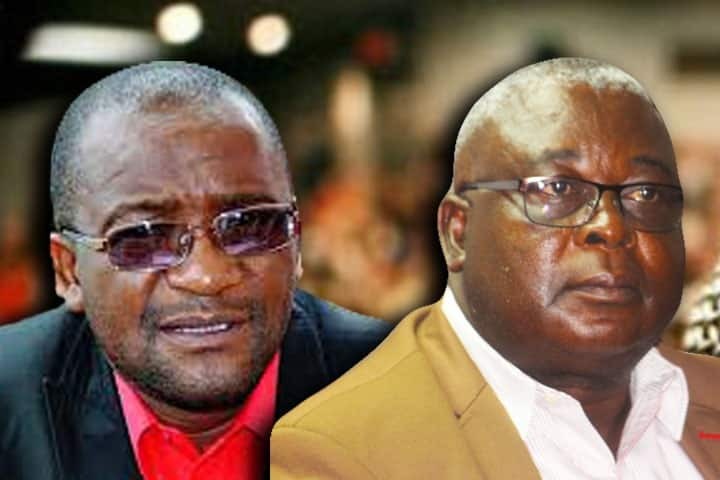 Mwonzora will, however, not have it lightly as he faces Kuwadzana East legislator Charlton Hwende, who have received at least four nominations so far while on the other side respected human rights lawyer Daniel Molokeli, formerly known as Fortune Mguni is also angling to take over the secretary general post. His alleged faction fronted by the outgoing provincial chairperson David Chimhini fell by the way side with Prosper Mutseyami rising to the occasion winning the chairmanship of the Manicaland province. Notable heavyweights who are now on the edge of relegation from national structures to card carrying members are Women Assembly boss Lynette Karenyi, Vice President Elias Mudzuri, Murisi Zwizwai as they are yet to secure a single nomination out of eight provinces including the United States MDC chapter. Mudzuri’s political fate appears to have been sealed as his name continue to be missing with insiders confirming that his carrier as a senior person in the party is nearing an end. However, party insiders told 263Chat that Mwonzora is likely to receive a presidential favour as his reputation and dignity in the movement is of high moral charging that his association with the ruling party spoiled the broth for a possibly Vice President post. “The party knows his strength and weaknesses and his value to the movement remains undisputed. The president would want to have him in the party at a crucial post. He blew his chance of elevation to become one of the Vice President when he received endorsement from our brothers on the other side and this did not go down well with the party,” the source said. The MDC provincial nominations are in Chamisa’s backyard in Masvingo today (Monday) where Mudzuri and some notable figures are hoping for face saving nominations with only Harare and Bulawayo being the remaining provinces.